DorSAR is now able to equip its team members with the very latest in GPS mapping, tracking, and navigation technology thanks to support from a company set up by a Dorset-raised entrepreneur. ViewRanger was set up in 2006 by Shaftesbury born-and-bred Craig Wareham to create outdoor mapping and navigation software for the, then, emerging smartphone market. The ViewRanger app is now Europeâ€™s leading outdoor navigation â€˜appâ€™ for Apple, Android, and Symbian smartphones, and is used and trusted by outdoor enthusiasts worldwide. The ViewRanger VSAR Program donates the ViewRanger app plus detailed Ordnance Survey mapping to any team members of accredited search and rescue teams. The VSAR Program began with Mountain Rescue teams in England and Wales, but has since expanded to include Mountain Rescue teams in Scotland, teams in Ireland, teams in Northern Ireland, Lowland search teams, coastal rescue, and search dog teams too. These search and rescue organizations use ViewRanger to aid in all kinds of planning, search, rescue, and training situations. ViewRanger's advanced navigation algorithms deliver reliable and trusted gps navigation, whatever the weather, whilst BuddyBeacon â€“ the appâ€™s clever location sharing - allows groups of team members and search dogs to be accurately tracked across the hillside, and viewed live by a search coordinator on a smartphone, tablet, or the web. ViewRanger, is the award winning mobile app, which delivers Mapping, Navigation, GPS-enabled guides & route content, Location Sharing and Performance Stats to anyone, worldwide, who wants to get more from their time in the Great Outdoors. The App runs on a massive range of smartphones and devices that use the Apple iOS (iPhone/iPad), Android, or Symbian OS and works virtually anywhere in the world using Open source web based mapping, which can be cached for off-line use. Additionally, it can upgraded to run premium topographic map data like Ordnance Survey maps in Great Britain, for a growing number of countries, including Belgium, Czech Republic, Finland, France, Germany, Holland, Ireland, parts of Italy, Norway, New Zealand, Slovenia, Sweden, Switzerland & USA. A testament to the Appâ€™s accuracy and reliability is the fact that it is today used by over 50% of Search & Rescue teams in England & Wales. 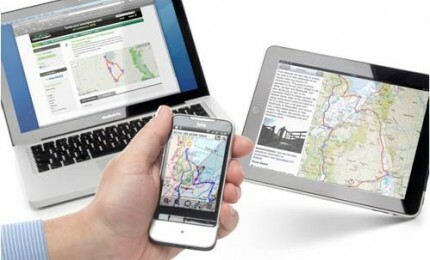 The ViewRanger App is complemented by a free social network website for route planning, account control and community sharing at www.my.viewranger.com. The App is also a powerful GPS-enabled content publishing platform that allows Guidebook & Route owners, like The AA, Walkingworld, Northern Ireland Tourist Board and Cordee to deliver their content directly to a userâ€™s smartphone. ViewRanger is developed and marketed by Augmentra Ltd a Cambridge UK based Angel funded software development company. DorSAR members wishing to set this up on their phones are to contact the DorSAR Chairman who will email full instructions.